It’s bad enough I have to wait a few more days for vacay, but you post a pic like this? Gees. I am ready for some warm sunshine. Although, I can’t complain too much. The sun is actually shining here. It’s the 31 degree temp attached to it that has me craving warmth. The pic is gorgeous. From a hotel room? Ahh, where are you going on your vacay? 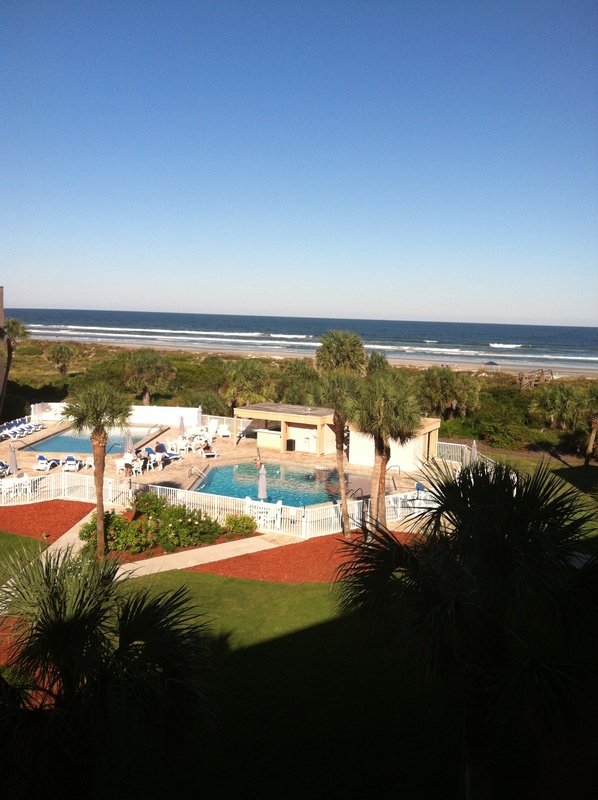 This was the view from the condo we stayed in when my son got married. It was on the Atlantic Ocean. It was 49 degrees here at home this morning. 66 now. Hope it warmed up there. Yeah, bet it’s not in the 30’s there. Makes me want coffee on the patio.